The man apparently got angry because the woman wanted to lodge a police report about the accident they were involved in earlier. 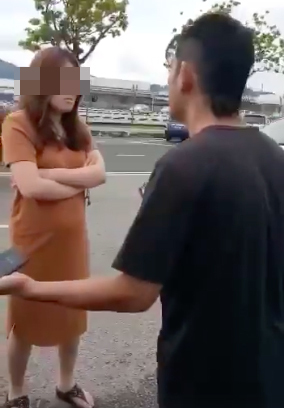 A video of the incident, which occurred at Lebuh Kampung Jawa in Bayan Lepas, has been circulating on the Internet. 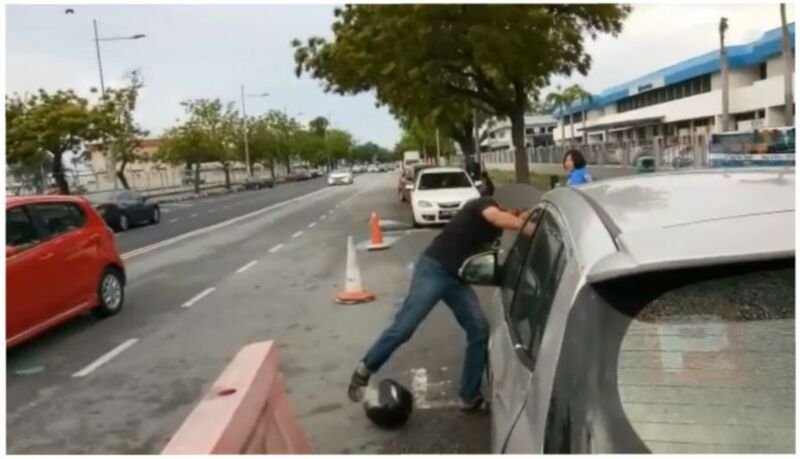 The video, believed to have been recorded by a bystander, shows a man using a hammer and helmet to break the windscreen of a silver Kia Picanto. New Straits Times (NST) reported that the car was driven by a pregnant woman, who was on her way to drop off her sister at her workplace. Free Malaysia Today reported that the motorcyclist crashed into the front of the Kia Picanto when the driver was trying to make a right turn during the 8.40am incident. The motorcyclist then got into an argument with the driver, presumably over compensation for the accident, The Star Online reported. However, things took a violent turn when the 27-year-old woman insisted to lodge a police report about the incident, which angered the man as he went on to smash the victim's car windscreen. According to theSun, the man then fled the scene after the altercation while the victim lodged a police report on the incident. 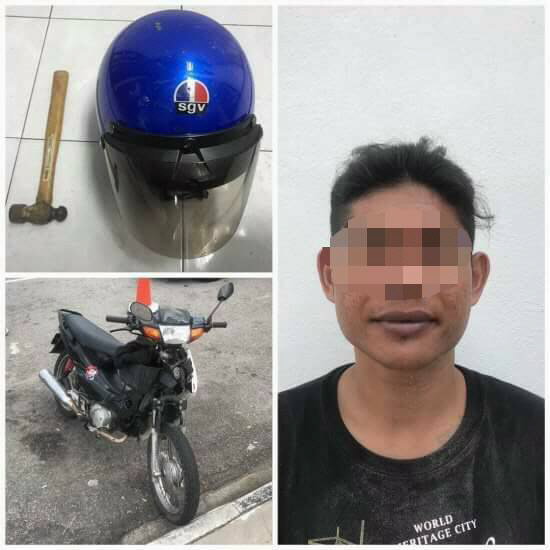 "He has been tested positive in urine (for methamphetamine) and the case has been classified for committing mischief under the Penal Code," Balik Pulau OCPD Supt A. Anbalagan was quoted as saying by theSun. The Star Online's report also stated that the man would also be investigated under Section 15(1)(a) of the Dangerous Drugs Act 1952. According to Anbalagan, the suspect had past criminal records, including three which were drug-related. The man is now on the run. Doggo didn’t pass his driving test.